My niece made a thank you card for her teacher and I helped her in making. I am sharing her cute art today! Happy Thursday everyone! Today I am going to share my niece’s handmade card which she made for her teacher. I helped her in cutting and pasting things for making this thank you card for teacher. It was around 8 pm while the next day was her first day at school. She asked me suddenly if I can make something for her teacher? Oh well, what a short notice of work order baby! 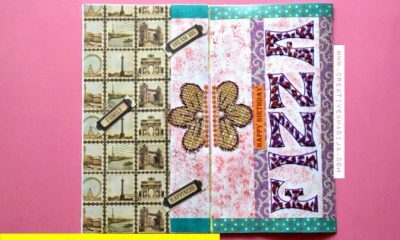 I suggested her why not to create the handmade card together, so she agreed at this idea. Have a look what we crafted then! 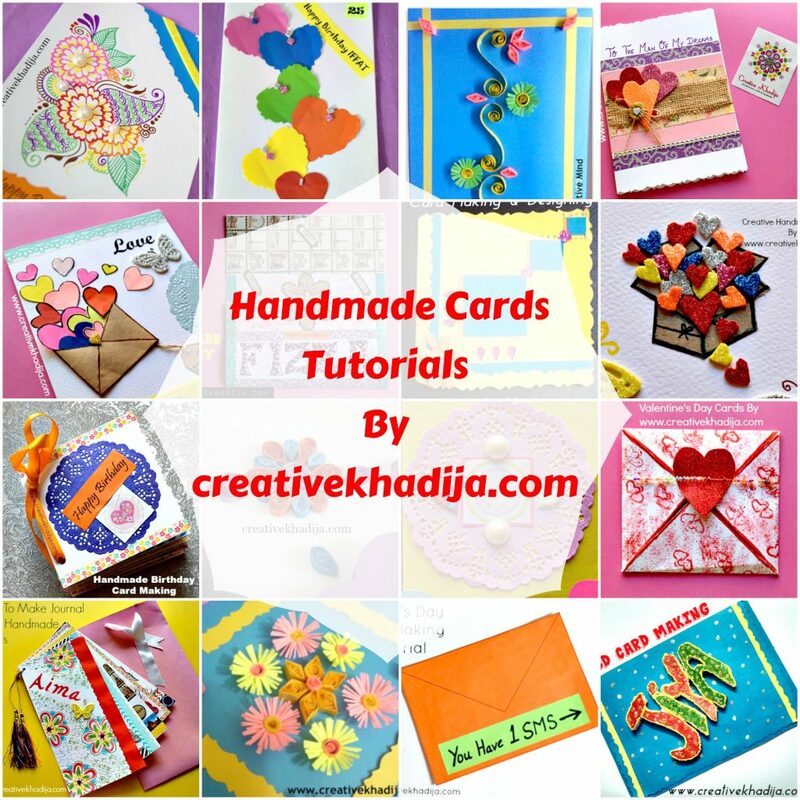 I had so many card making ideas in my mind for teachers day wishes card. 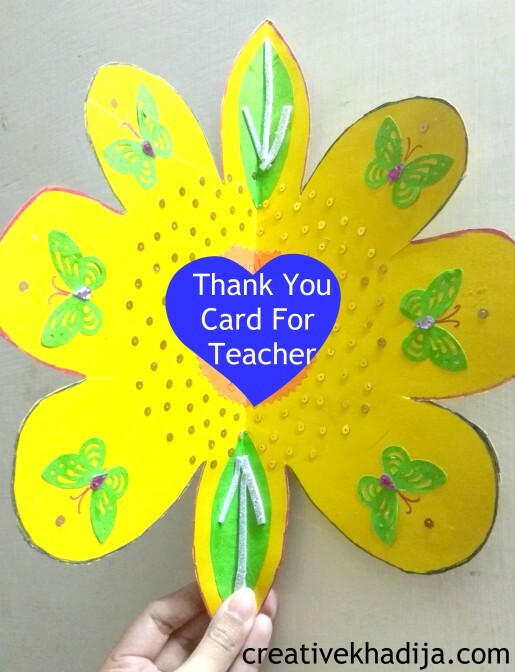 I thought to try any random teachers day card making idea but she wanted flower and butterflies on the card. So I thought to plan something accordingly. She selected yellow color card and I cut it with a sharp scissors. After folding the card paper sheet, I draw a shape on it. On the opening of card then, it turned out like a flower shape. Thank You Card For Teacher-Made by my niece! 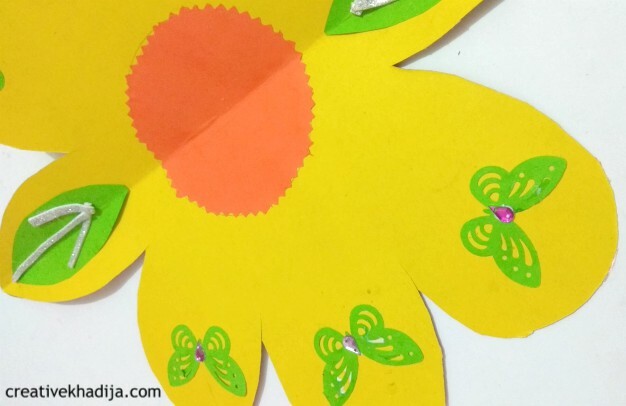 There were many ideas for handmade cards for teachers day but my nieces wanted to try something of her own choice. With the help of a led pencil, I mark spots where she glued stuff with transparent adhesive. 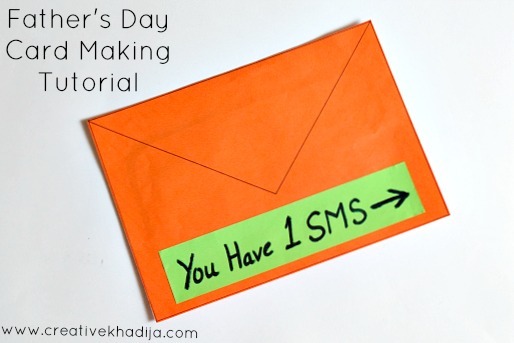 For making any kind of thank you card for teacher or friend, you need to set a theme. Just like my niece decided this floral theme with butterflies. As spring season is here and flowers are blooming, so this theme can be an interesting one. 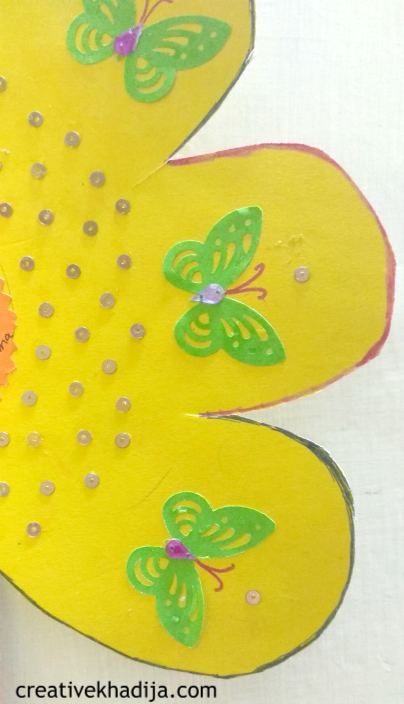 You will need a card sheet, scissors, transparent glue, glitter tape, beads/sequins and any butterfly paper punch cutter. As I was in short of time so these few supplies were enough to make a thank you card for teacher. I hope you enjoyed my niece’s creativity of thank you card for teacher. She made it & presented to her teacher and she loved it. 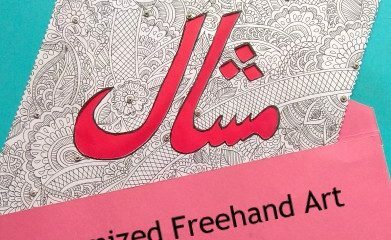 There was something unexpected when her teacher made a cute card in return and give it to her the same day as a cute gesture of love! 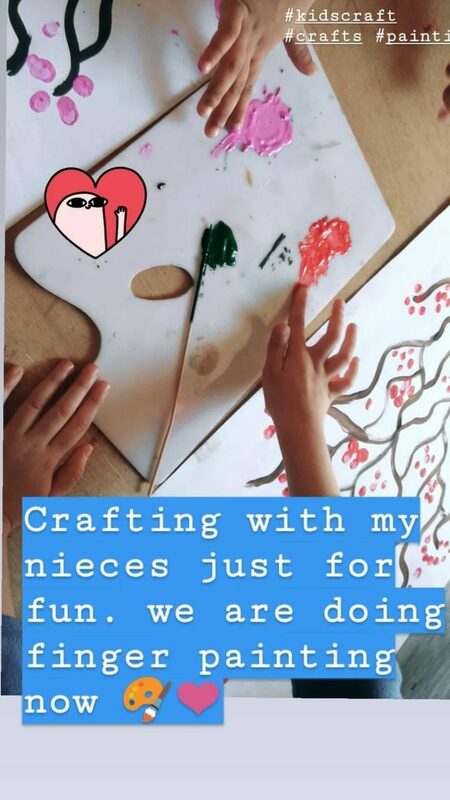 If you are also an auntie of preschoolers or little one school going kids, you should make crafts and do activities together. It’s not just super satisfying for me but also for them to create art. 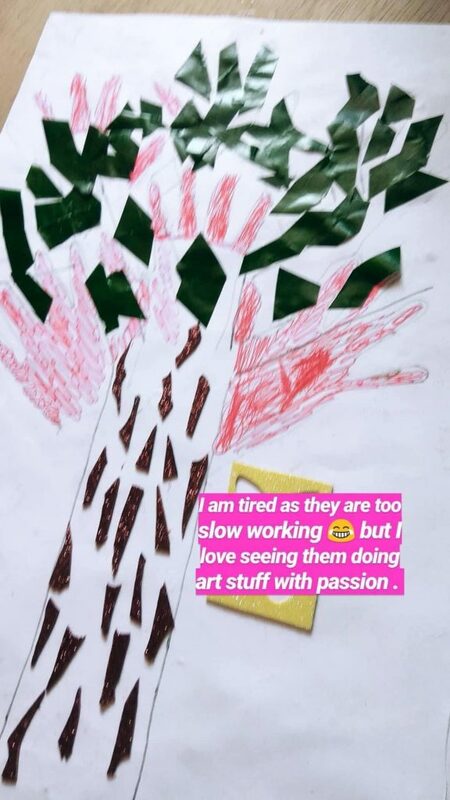 I don’t usually post much on my website about these art activities with my nieces but I usually update such stuff on my social media networks in the facebook/instagram stories section usually. These are a few easy painting ideas for kids which my both nieces finger painted. You can see many easy paintings for kids with poster paints. Kids love painting with finger tips and palms, I had a good amount of poster paints so I thought to let kids play with paints on the paper. This is what they painted and I helped them with basics. 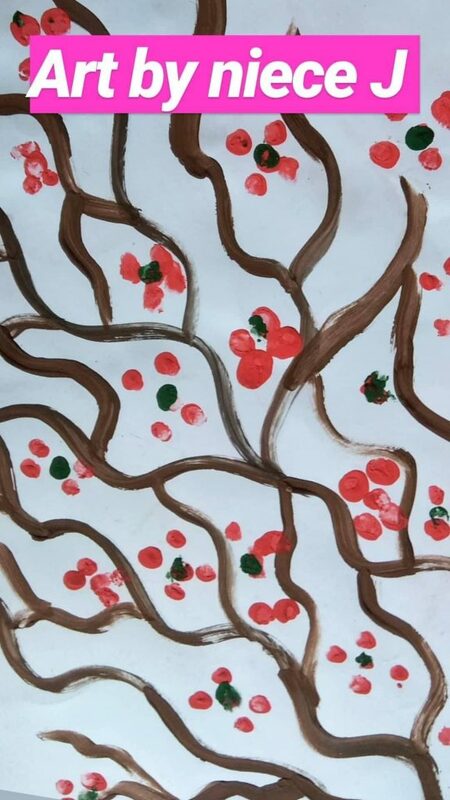 So we tried cherry blossom kind of branches painting here. 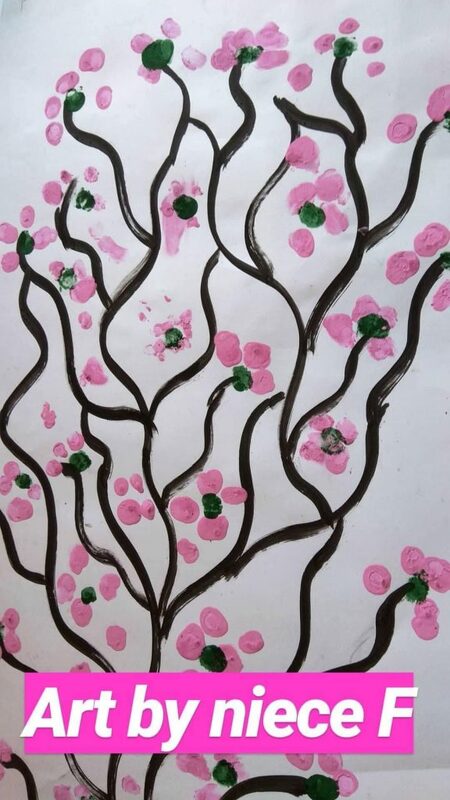 Baby niece F choose color black and pink while my elder niece (6 years old) choose brown and red poster paint for the finger painting. After painting these cute arts, then they both wrote names of the whole family next to their painting. hehe. Kids are adorable..seriously! They also did some collage work kind of painting with foamic glitter stickers and paper pieces. They traced palms and filled them with markers first and later with paper chunks. I was just looking at them what they are doing and how slow they are doing. OMG these passionate artist kidos..haha! 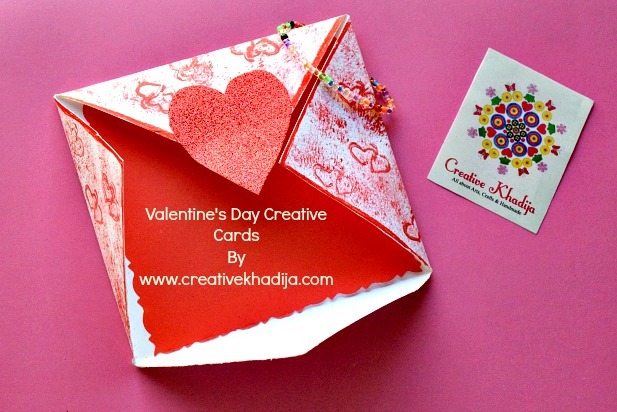 If you are following me for some time, you may know right how much I love cards designing. 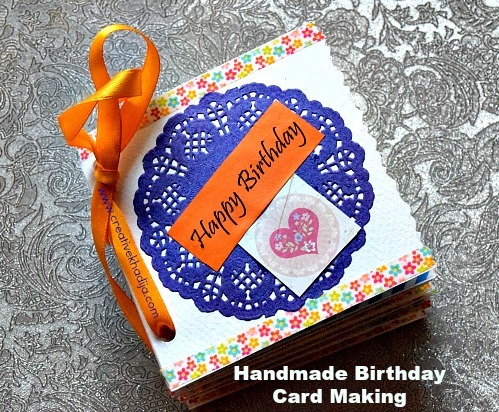 I love making handmade cards and sharing their easy tutorials. You can see all of them in my category Card Making. 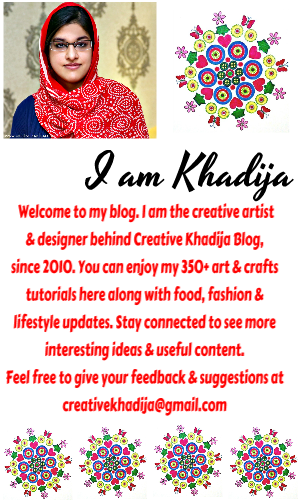 Stay tuned to see more arts, crafts and handmade goodness on the #creativekhadija blog! Looking forward to see your feedback!